I’ve been shopping at Walmart since they first opened stores in Canada in the 90s. With great prices and selection, it’s perfect for a one-stop shopper like me. I was recently challenged to visit our local Walmart and buy everything I would need for Easter this year. I decided I would buy everything I would need for an Easter dinner as well as some Easter treats for my girls. I had a $100 Walmart gift card to spend. I was curious to see if I could do it! We’ve been in Ontario for the last week visiting my family. 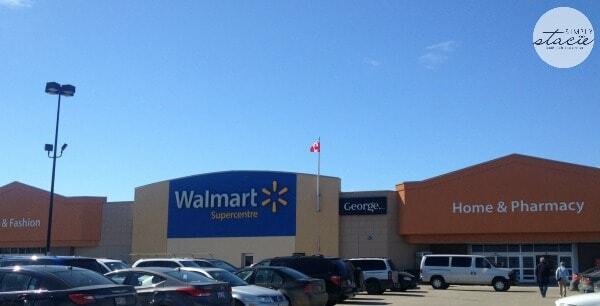 They have a Walmart Supercentre in Pembroke and it’s huge compared to our Walmart in Greenwood, NS. The Pembroke Walmart has a grocery section with produce, baked good, meat and everything you would need for a grocery shopping trip. It was my first time shopping in the grocery section in Walmart. After grabbing our cart, we headed over to the Easter section at the front of the store. There are aisles and aisles of Easter chocolates, candy and decor. I picked up a some chocolate eggs, bunnies, jelly beans and some candy for John. After grabbing our Easter sweets, we headed over to the grocery area to pick up what we would need for Easter dinner. I remarked to John that I can’t believe that you can buy groceries at Walmart. It’s so new to us, but we were very impressed by the selection and the prices. If we lived closer, I know I would be shopping for groceries at Walmart. At the end of our shopping trip, I had everything I needed for Easter dinner including disposable plates and cutlery plus all my Easter treats. I held my breath at the cash because I wasn’t sure if I would go over the $100. My order came to $85 so I was well under budget. Here’s a look at everything I purchased…. 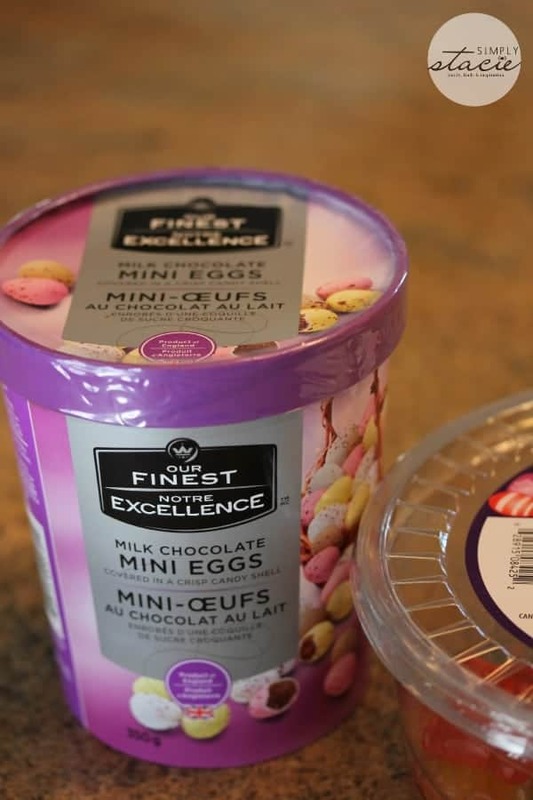 For Easter treats, I picked up some Our Finest Milk Chocolate Mini Eggs, Our Finest Jelly Beans, Great Value Chicken & Bunnies Gummies and Great Value 1 lb. Solid Chocolate Bunny. 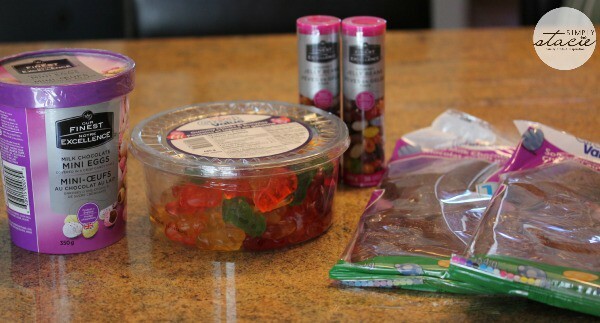 The chocolate and jelly beans are for my two girls and the gummies are for John. Unfortunately he couldn’t wait till Easter to open them up…. 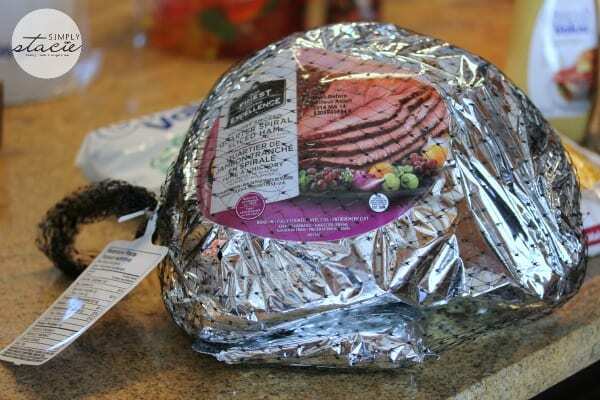 The Our Finest Spiral Cut Ham was the most expensive item I purchased at $15. It will be more than enough for us for Easter dinner and I’m sure we’ll also have some for leftover ham sandwiches. 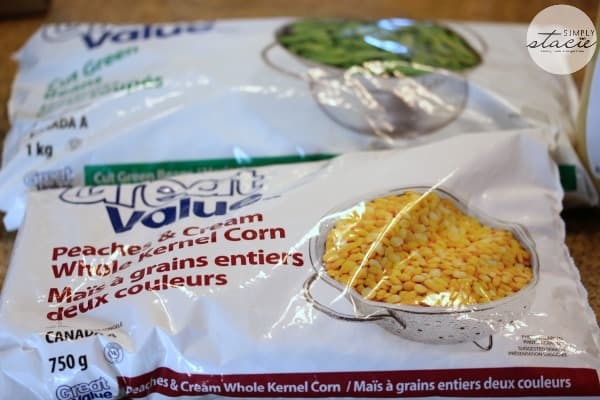 In the frozen section, I picked up some Great Value Cut Green Beans and Peaches & Cream Whole Kernel Corn. 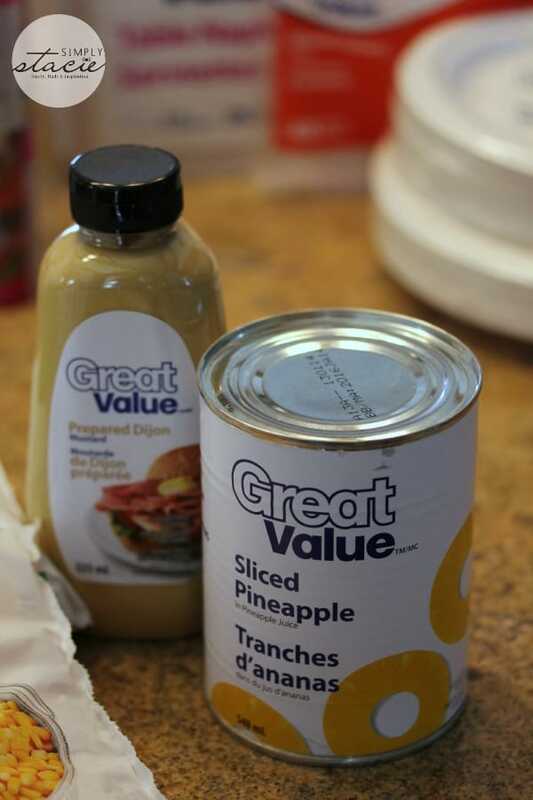 John specifically asked for pineapple with his ham so I grabbed a can of Great Value Sliced Pineapple. I like my ham with mustard so I picked up a bottle of Great Value Prepared Dijon. Yum! 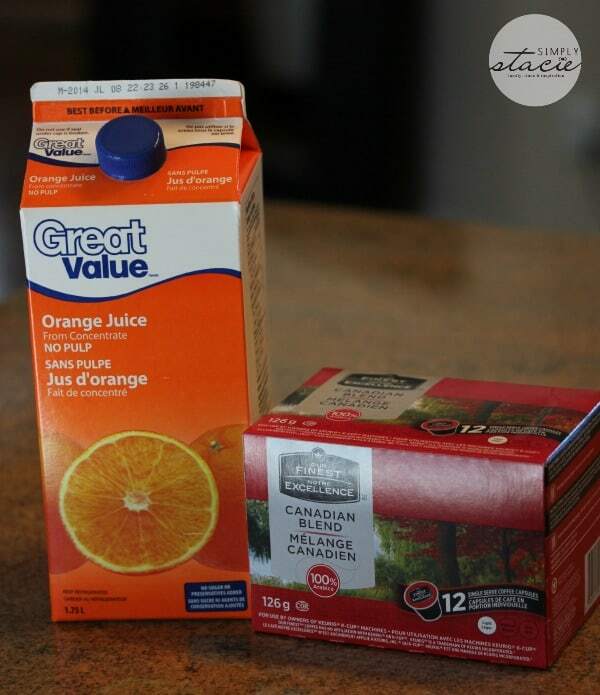 Great Value Orange Juice and Our Finest Canadian Blend coffee rounded out the beverages. Juice with dinner and coffee with dessert! 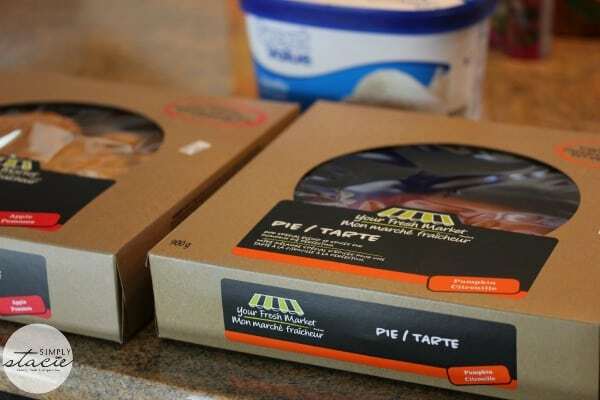 For dessert, we will have our choice of two Your Market Fresh Pies: Pumpkin Pie and Apple Pie served a la mode with Great Value vanilla ice cream. I think this will be my favourite part of the meal. 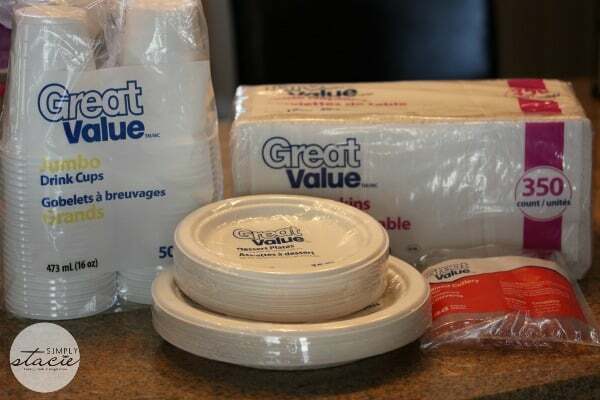 And last but not least, I purchased some Great Value cups, napkins, plates and cutlery to use for this meal and to save for some summer barbecues. As you can see Walmart has everything you need to get ready for Easter. I like knowing that it’s all done and I can focus on getting my house ready for the occasion. Have you started your Easter preparations? We shop at Walmart all the time. We are lucky that we have one of the big superstores just down the road from us. Mind you we always end up coming out with more than we went in for. Walmart is so awesome. Its one stop shop! Ours is about a 20 minute drive from here but so worth it! I love Walmart! It’s provide anything we need and easier to shop! Walmart has great deals on Everything for Easter. I will be going there today to pick up some things for Easter! I didn’t realize that Walmart just came to Canada in the ’90’s. It can be a really good place to shop. I was just there today buying some necessary groceries. It looks like you are prepared for a wonderful Easter dinner…ham, veggies, chocolate, and pie. Enjoy! We always get our Easter supplies at Walmart! Seriously?! You just made me hungry. After watching Top Chef, I learned Wal-mart carries quality food. Very nice! I adore Walmart! I love walmart! and I will also be going there to get my ham, and the easter goodies for the girls! 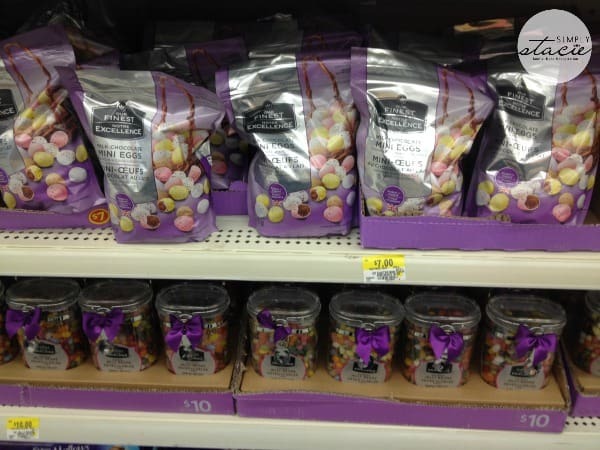 Walmarti is a great place to find all sorts of Easter treats and goodies as well as groceries for the Easter dinner. I look forward to after holiday sales at Walmart where everything starts out at half-price. I like to stock up on candy and gifts. I always find such awesome deals at Walmart during holiday seasons. Great shop! Let me know what those Easter choc eggs are like…I’ve been eyeing them for a while now. love shopping at Walmart too. they have lots of Easter goodies there. it’s great in quality and low in prices. with the $100 gift card, i could buy A LOT of things! I like Walmart. We shop there often , they got great prices especially for fruits and vegetables Their Great Value products are just as good as name brands. Love shopping at Wal-Mart, especially for bigger gatherings. Ah Walmart superstores… they are so convenient, especially when it comes to large upcoming events. Don’t know how I would live without them and their prices.